Brand new for 2017, the Mopar 18" Satin Black wheel has the same look as the Smoky Mountain Edition wheel but has a satin finish. 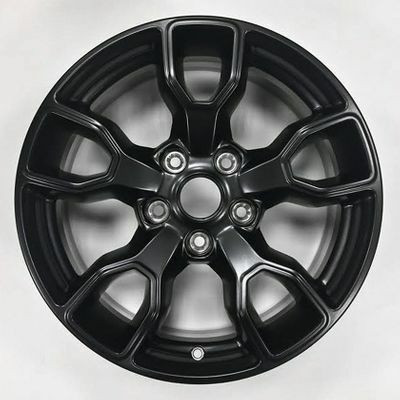 18x7.5x44.45mm Cast aluminum Jet black wheel. 1600 lb. load rating. 5x127mm bolt circle diameter. 71.54 Pilot bore diameter. 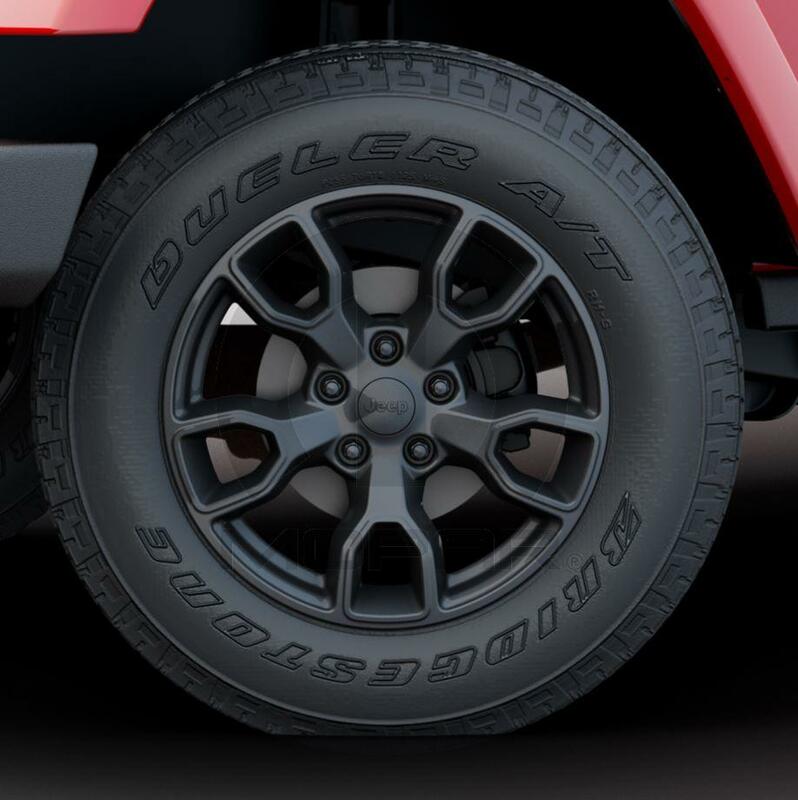 Wheel comes with black center cap.